Mornings can be the most chaotic time of day, especially if you’re already under high levels of stress. The more stress you experience (which can be physical, emotional, nutritional or mental), the more rest your body needs, so waking up everyday with a jolly spring in your step can be a challenge. _x000D_ _x000D_ From the moment the alarm goes off, time is of the essence. For many of us its a scramble in the morning; getting washed and dressed and throwing some sort of lunch together before dashing out the door to get a quick coffee and attempt to beat the morning rush hour traffic. Or for some, mornings involve getting the rest of the family up and out on time, let alone oneself. So with all this chaos, who really has time to consider stress relief first thing in the morning? _x000D_ _x000D_ _x000D_ Although it may seem impossible, there are a few simple ways to lower your stress levels by creating a simple wellness ritual for your mornings. Even if you don’t think you have the time, many of the suggestions below can simply enhance the tasks you’re already doing in the morning (such as adding stress supportive nutrients to your coffee), which require no extra preparation._x000D_ _x000D_ Whether you feel as though you’re under a lot of stress or very little, these morning ritual ideas are sure to help create a sense of calm and grounding that carries on throughout the day. Besides, who can say no to easier, more enjoyable mornings? _x000D_ _x000D_ 1. Think of what you are thankful for while you make the bed _x000D_ _x000D_ _x000D_ _x000D_ _x000D_ You’ve likely heard of the importance of practising gratitude each day, and the life-changing effects this simple practice can have. _x000D_ _x000D_ When you not only think, but feel what you’re grateful for, you raise your vibration to the frequency of attracting positive people, things and events in your life. This concept used to be thought of as “woo-woo”, but today you’ll even hear Oprah preach it. Give it a try!_x000D_ _x000D_ It’s not necessary to take any extra time out of your morning to consciously feel grateful. You can do it while making your bed, while you’re in the shower or even on your way to work. You may be surprised with how much more positive your day becomes in comparison to the mornings that you don’t practice gratitude. _x000D_ _x000D_ 2. Have a good source of protein for breakfast _x000D_ You’ll hear health experts preach about the importance of having protein first thing in the morning- and it’s for good reason. _x000D_ _x000D_ Having protein in the morning has its benefits when it comes to kick starting natural weight loss, boosting metabolism and providing you with energy. However, protein can also help reduce your stress levels and improve your mood by balancing your blood sugar levels. _x000D_ When your blood sugar levels aren’t stable (which tends to happen with skipping meals or eating refined sugar first thing in the morning), you feel irritable, cranky and probably a little “hangry”. Imbalanced blood sugar levels are also a form of nutritional stress, which can further lower your body’s natural ability to cope with stressful situations. _x000D_ _x000D_ If you’re pressed for time in the morning and need a quick source of “grab-n-go” protein, we recommend shaking up one of our many delicious flavoured protein sachets with some milk of your choice. Our favourite single serve sachets Iron Vegan, Garden of Life and Vega are all highly nutritious, great tasting and easy to store in your bag, car or desk. There are many varieties available to suit all tastes and nutritional needs and each one of them mix very well with milk or water after a quick shake. _x000D_ _x000D_ 3. Have a Morning Macaccino_x000D_ _x000D_ _x000D_ _x000D_ Coffee lovers, rejoice! _x000D_ _x000D_ It can seem impossible to give up your morning cup of coffee. And while we love a light roast just as much as the next person, coffee can tax your adrenal glands (the glands that control your stress response) and in copious amounts can lead to burnout and exhaustion- or even worse, adrenal fatigue. _x000D_ _x000D_ To get the same energizing buzz that you get from caffiene, try having a maccacino instead. While it sounds fancy, it’s simply a delicious superfood powder that can be added to boiling water and takes the same amount of time to make as a cup of tea. _x000D_ _x000D_ The super-food Maccacino drink mixture by Organic Traditions tastes similar to coffee, but without the caffeine and instead, provides a blend of stress supportive and energizing ingredients. 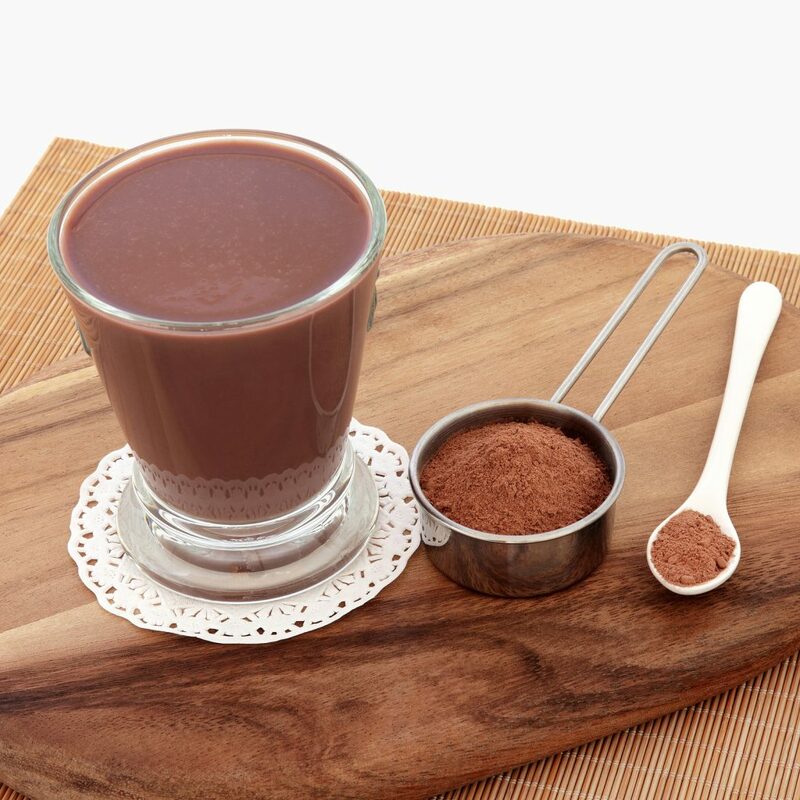 With raw cacao powder, coconut palm sugar and vanilla powder, you’re guaranteed to love the flavor. As for the stress relief, that's where the black maca root comes in. _x000D_ _x000D_ Maca is a root grown in Peru that’s classified as an adaptogen, a type of herb that helps your body cope or “adapt” to stressful situations. Adaptogens are known to provide mild stimulating effects and sharpen mental focus, much like that of caffeine but without the energy crash and stress to our adrenal glands._x000D_ _x000D_ 4. Moisturize and soothe your muscles at the same time _x000D_ While you may not have time for a morning massage, you can soothe and relax your muscles simply by changing your moisturizer. _x000D_ _x000D_ MSM is a natural ingredient that’s used to relax muscles and provide relief from aches and pains. Using an organic MSM lotion as your all-over body moisturizer, straight out of the shower, is an effective way to reduce inflammation (a sign of stress) and soothe tense muscles throughout the day. _x000D_ _x000D_ 5. Invigorate your toothpaste _x000D_ It may sound strange, but why not switch up your toothpaste to one that delights your senses? _x000D_ _x000D_ Our favourite toothpaste flavour to use in the morning is Green Beaver’s Zesty Orange. The scent of orange or any type of citrus is said to help invigorate and “wake-up” your senses, and it may also boost brain power. _x000D_ _x000D_ If you’re not up for switching your toothpaste, you can always add a few drops of citrus essential oil to an oil burner in the morning while you’re getting ready. Just don’t forget to blow it out before you leave for work!_x000D_ _x000D_ So there you have it, some effective stress relieving morning rituals to add to your daily routine. Begin by adding one at a time and see how they work for you. We are confident you will be leaping out of bed well before your morning alarm rings!